Pisces ascendant astrology, horoscope consultation, understand importance of Meen lagna, astrologer for minute analysis of horoscope, Birth chart analysis, Vedic astrology for analysis and solutions of problems. The last sign in the zodiac belt is Pisces but it is very sacred sign and is controlled by Planet Jupiter. To know that if the ascendant is of pisces or not just check out the lagna i.e Ist house of lagna kundli and see the number. If it is 12(twelve) then your lagna is Meen/pisces. This is a lucky sign and powerful too as Jupiter keep control over it. These people are gifted with knowlege, power, luxuries etc. They are religious and rational minded too , due to this people take guidance from them. If Venus is present in Lagna in that case no doubt success from all direction come in life. These people are also lucky in terms of social relationship, health, wealth. But in case if Mercury sits in lagna then person suffer from mental pressure and many types of obstacles in life. In this case if Jupiter is also malefic then bad luck makes the life hell. If the Jupiter is good in power and position then no doubt the person does many things for the society and for that he or she is known for ever. Pisces ascendant people spend there whole life in acquiring knowledge of different kind and this make them intelligent. Meen people are also good researcher, spiritual practitioner, motivator. 1. Don't ever over confident about the knowledge which you have. 2. Don't spend too much money in making goodwill. 3. No one is perfect and we can't everything from every one so don't expect too much from any one. 4. Do wear clean cloth and visit any temple daily. 5. Do put yellow dot on forehead. 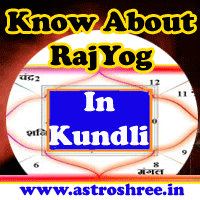 Know how Jupiter is affecting your life, get the minute analysis of your kundli/horoscope/birth chart from one of the best astrology services provider on line.